RH) You live in an apartment, in a building known collectively by its residents as the Pigeon Palace. 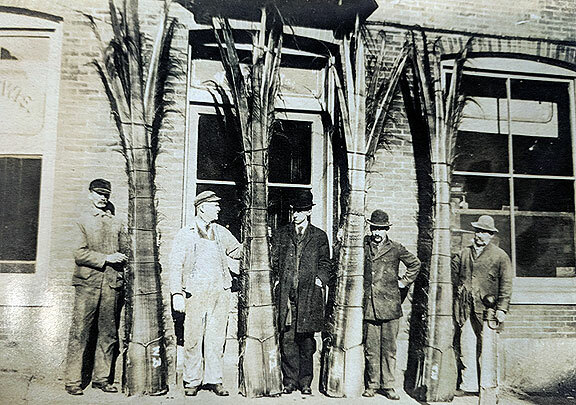 In 2015 you were all able to stave off eviction by securing a loan to purchase the building as a cooperative. 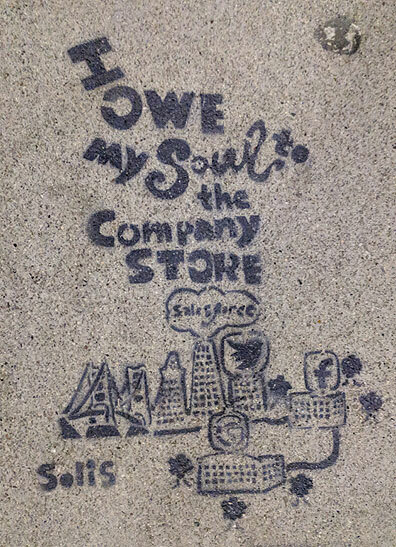 As you know I am fascinated by what is going on in Spain, with En Comu, and in in Los Angeles, by the emergent constellation of citizen led organizations challenging the city for the wealthy and the developers. 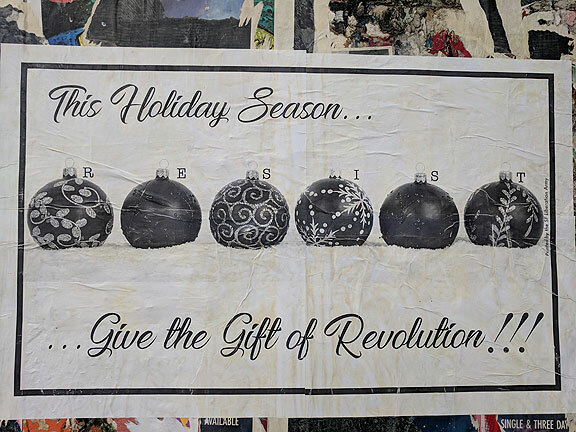 In this time of economic and social crisis, I’m wondering how you as an urbanist relate to the possibility of the contemporary grassroots urban politics? 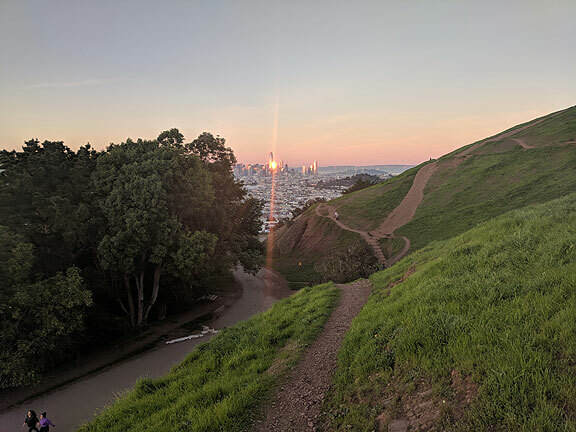 Another gorgeous sunset view from Bernal Heights, a short distance from my home. 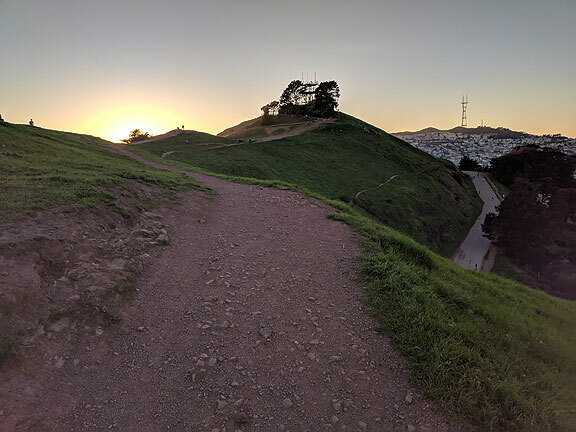 Getting up the hill looks like this at sunset. 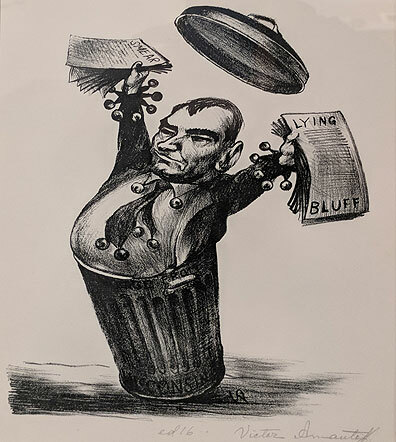 Great show of Victor Arnautoff was held at the Labor Archives at SF State… this is his rendition of Joe McCarthy in the early 1950s. 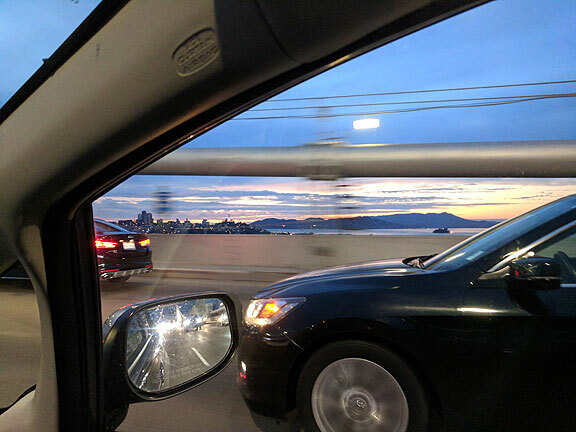 I’m so rarely in a car, or on the bridge, so this photo I took while driving across the Bay Bridge made me happy for some inexplicable reason. 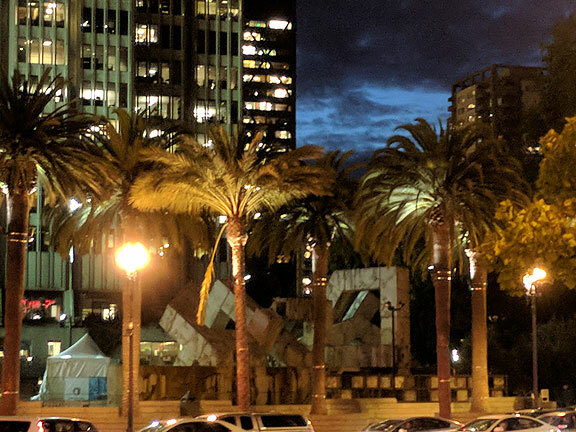 Embarcadero palms and the Vaillancourt Fountain at dusk… made for a weird view.